Great opportunity! 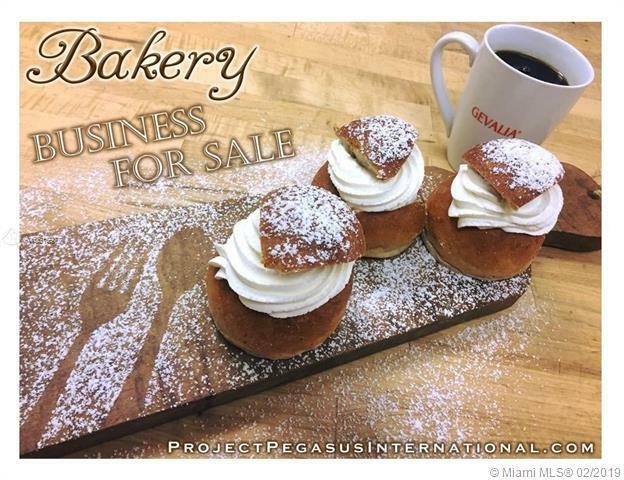 Turn-Key Full Service Retail Bakery Business Opportunity For Sale, very popular and well established. Prime location situated in a busy shopping center surrounded by retail shoppes, restaurants, drive by traffic, foot traffic and near by neighborhoods. Growing sales, experienced staff, and strong dedicated customer base. Well maintained bakery with an online presence, repeat local customers. "AS-IS" business sale only. All information deemed reliable but not guaranteed and should be independently verified by the buyer. Confidentiality Agreement Required. Call listing agent to schedule a private showing. Listing courtesy of Project Pegasus Inc..